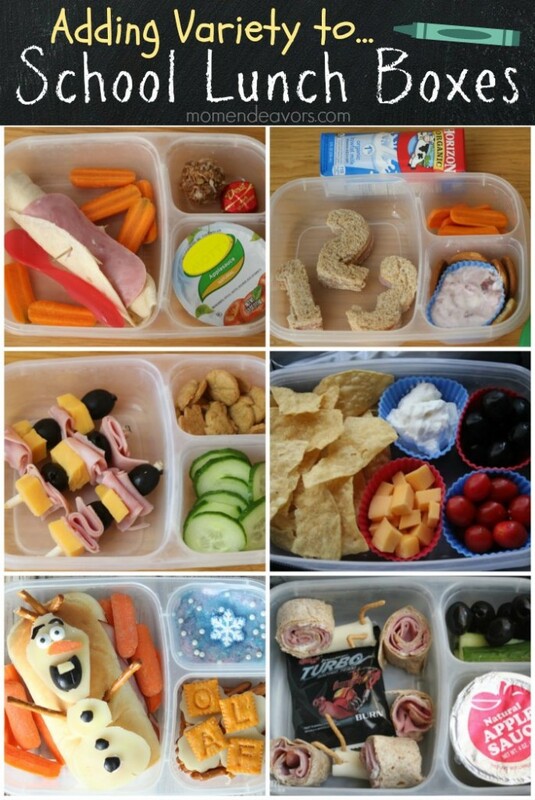 A month of kid-approved school lunches – easy & creative ideas! Mini ham & cheese sub sandwich served with sweet potato Pop Chips, carrots & baby dill pickles, and no sugar added natural apple sauce. Ham & cheese tortilla roll-up (deli ham & cream cheese rolled up on a whole wheat tortilla), with black olives, grape tomatoes, Fig Newtons, and some Cheetos. “Nacho Bar” – corn chips, plain greek yogurt (or you could use sour cream), black olives, grape tomatoes, and cubed cheddar cheese. “Breakfast for lunch” – bagel & cream cheese, with a cup of nuts & yogurt raisins, and some yogurt. PB&J bites (make a sandwich and use small cookie cutters to cut out fun shapes) with baby dill pickles, tomatoes, black olives, cheetos, and a Fig Newton. Turbo Snail themed lunch (click the link for full details). So, you can see those are all in-line with my goals! So far, so good! 🙂 But, I can see where it can definitely be hard coming up with new ideas day after day. And, that’s where all my other creative blogging friends come in! So, here are some other great lunch ideas from around the blogosphere that would be fun to try! 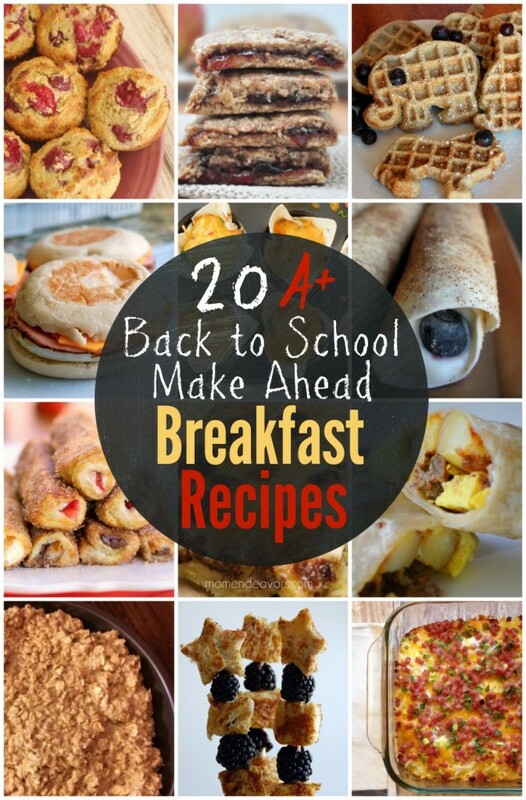 Make Ahead Breakfast Recipes – Great for busy school mornings! « Fun TURBO Snail School Lunch Idea! You’ve got some great ideas here, love the Star Wars notes. Thanks for including my Despicable Me Minions lunch as well! How do u handle keeping food cold? Since there’s no fridge and u serve cheese and other things that must remain cold. I don’t want my twin boys to get sick. Thank you. This is absolutely FANTASTIC!!! My son is in all-day, every-day kindergarten and I have been struggling with trying to find somewhat healthy ideas, while making it fun. 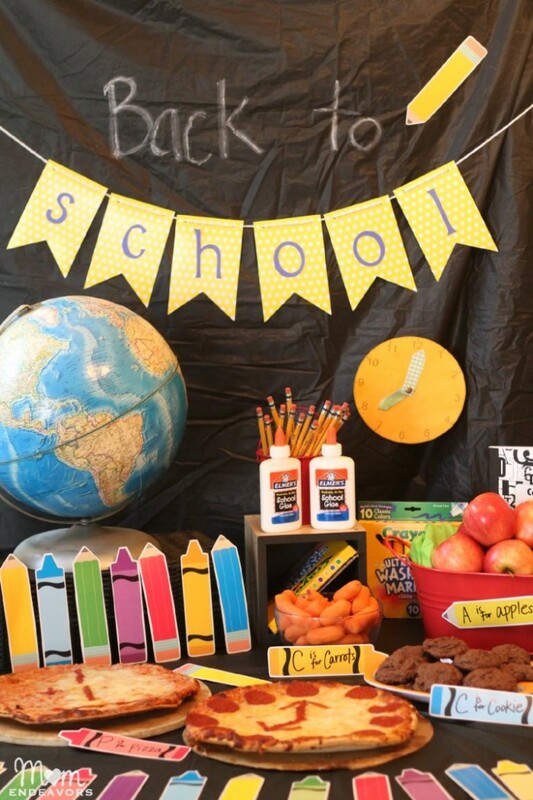 With the year almost over, I am looking toward next school year already and I now have some great ideas!! Thank you! Thank you! I was wondering about the chicken in the plastic. Arent they cold and soggy by lunchtime? Cold, yes. He will eat them cold (weird, I know, but he says he likes them). So, they aren’t soggy, because they come out of the refrigerator & straight into his lunch container. He actually hasn’t ever come home with any left, so it was an option that worked for us last year! Where do you get the neat separated containers? Do you use the cooler bags from easy lunchboxes as well? Looks like you pack yogurt, etc & have no problems with leaks? Other product reviewers say the lids come off if in a lunchbox that will be on its side instead of laying flat. Thanks! I can’t wait to start packing healthy lunches, love your ideas! Hi Michelle! Thanks so much for the kind words! My son has an inexpensive flat, Star Wars lunchbox (Thermos brand) that he loves and the Easy lunchboxes fit in. Some days I add a flat frozen cool pack, other days I don’t. We have haven’t a problem with leaking. Occasionally I will put a rubber band over the lunchbox just in case. And, if I have yogurt in one of the side containers, sometimes I do add a piece of press ‘n seal wrap over that compartment just to help prevent any leakage. The lids still fit well with the cling wrap on there! 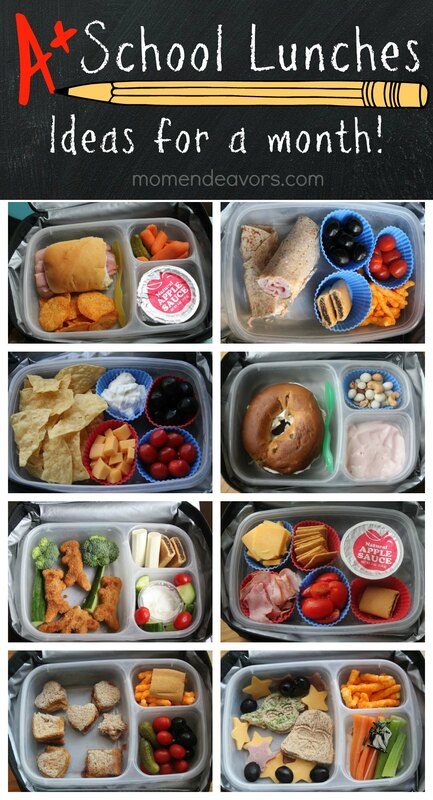 Great lunch ideas and fun post! Thanks for sharing my Out of This World lunch! Hi I was wondering if someone can help me. I am looking for Dino nuggets? I can’t get them anywhere in St. Johns newfoundland. Anyone know we’re I can get some too? With the Easy Lunchbox containers we use, we really don’t have too much shifting or too much mess. They are the only thing we use and absolutely love them!